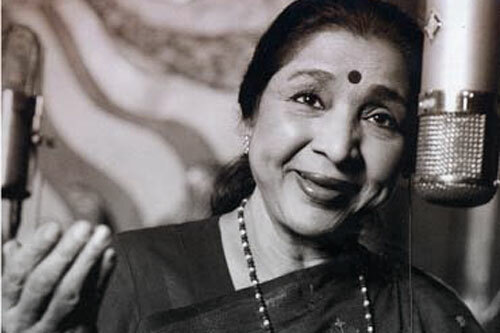 For the first time, legendary Indian plyback singer Asha Bhosle lent her voice in an odia Sambalpuri song in the upcoming oriya movie ‘Chini’ with a western Odisha flavour. Asha has sung ‘Uanshar andhare nai dishe sina, haji nai jai jan (One can’t see, but moon very much exists even during the new moon day),’ lyrics by Durga Madhab Panda for the film. “It is for the first time that a singer of Asha’s stature has sung a Sambalpuri number for a movie,” said Pradip Bhol, who is debuting as a director with the film. “It is for the first time that a singer of Asha’s stature has sung a Sambalpuri number for a movie,” said Pradip Bhol, who is debuting as a director with the film. Snehlata Padira and Bhabani Majhi are jointly producing the film. Famous Odia actors Mihir Das, Maheswata Ray and Debu Bose make up the star cast of the movie. Newcomer Tithi Rupa will be seen in the lead role as ‘Chini’.